Talk to me about the technical or logistical challenges of starting out as “a small unknown,” as you once put it, and the Minimum Quantity Order (MOQ) requirement for buying raw materials. What steps did you go through when you made the leap from making a perfume for yourself to what would be needed to make perfumes as a company? How did you know what suppliers to use, what equipment would be needed for bigger scale production, and what regulations you would have to satisfy? 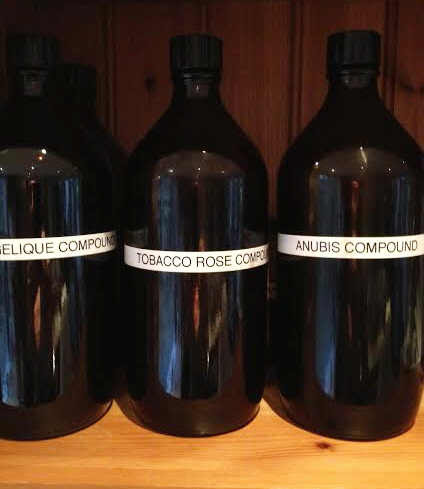 In the very early days, I would buy my aroma chemicals from the Perfumer’s Apprentice in the US, a fantastic place for anyone mildly curious about how synthetics smell. They sell in very small quantities, so it’s the perfect place for the hobbyist too, and they have an amazing selection of materials. Linda at Perfumers Apprentice was so helpful and I contacted her to find out if I could buy larger amounts from her. She very honestly explained that it would be far more cost-effective for me to buy direct from her suppliers. Linda very kindly gave me the contacts that she had which would enable me to buy larger quantities of certain materials. Some of the contacts couldn’t help me at all as their MOQ [Minimum Quantity Order] on certain materials was 5 kilos but these companies put me in touch with other companies who might be able to help. Initially, the companies that I was talking to were slightly hesitant in dealing with me, their MOQ’s were still around the kilo mark, and I was asking for them to reduce this even further. I told them my vision for Papillon and what I was trying to achieve, and I think that they decided to take a gamble and let me take materials in much smaller quantities. There were materials that I happily bought by the kilo such as benzoin, as it’s a relatively cheap material, but for the more expensive ones like the orris concrete I use in Angelique (currently £19,000 a kilo) they let me order in 100g. Some of the large cannisters now used by Papillon. Mimosa for Angelique, Jasmine for Anubis. Source: Liz Moores. Scaling up the production of the perfumes couldn’t have happened if these suppliers hadn’t placed a great deal of faith in Papillon. In fact, there would be no business at all. Before I had an answer as to whether the suppliers would come down on their MOQ’s for the expensive materials, I remember sitting down with Simon and explaining that we probably couldn’t move forward with Papillon. The cost to buy in the expensive materials in larger quantities to make up a large enough batch of perfume was out of our reach. It’s easy to buy in 10ml of Rose Otto but, when you realize that you won’t get 2 bottles of perfume out of that amount, then it’s time to rethink. Everything was hanging in the balance until I heard from the various suppliers to see if they would help, and it was a very stressful time. Simon looked over the formulas time and time again to see if he’d missed anything, whether something had been costed incorrectly but it hadn’t. Simon even asked if I would rework the formulas to reduce or possibly remove the majority of the expensive materials. I promptly burst into tears and told him that the perfumes were finished, they had taken me years to perfect and I would never change them. There were diva moments from me, but I could see the plans I’d made for Papillon rapidly disintegrating. The safety assessments for each of the perfumes had been completed, we were about to order the bottles, and finalise all the other aspects of the business with the very real possibility that there would be no perfume. The suppliers eventually said they could reduce to MOQ for the expensive materials to 100g which enabled me to make up a small batch for each of the three perfumes. We started trading with just 100 bottles of each perfume, and had to sell the majority of these before we could afford to buy in any more materials and get the next batch into production. Everything was started on a very small scale and, to a degree, still is. It was a wonderful moment when I was able to phone the suppliers and order lots and lots of things from them, and I am eternally grateful for their early support. The correct, proper way that Papillon boxes look, unlike that first batch. Photo: Papillon. We also had issues with the boxes due to miscommunication with the company making them. 24 hours before Papillon launched, a stack of boxes were delivered with the gold foil unreadable over the majority of the box, the boxes were glossy when they should have been matte black, and the glossy black rubbed off onto fingertips, clothing, everything. The box had also been designed upside down, so all of the tabs were in the wrong place. It was a total debacle. There were more tears from me while Simon dealt with this new set of problems. I had as good as given up at this stage, and wondered how the hell we could sell a perfume with no box! The box company were brilliant and worked throughout the night to get the boxes ready, and, by the end of launch day, we had our boxes, but it was a close run thing. Speaking of regulations, as a British perfumer you are subject to EU regulations on everything from the ingredients you use to the packaging of your creations. I’m curious about the more unexpected ways in which the regulations have impacted the process, beyond the obvious oakmoss restrictions? Have you experienced any unexpected complications or challenges and, if so, can you elaborate on them? The regulations drive me completely insane and are yet another hoop to jump through, more expense and paperwork which basically give the consumer a list of ‘ingredients’ which are actually allergens and not ingredients. I’ve never had anyone say to me ‘I’m allergic to hydroxycitronellal and eugenol,’ and yet this list is supposed to inform the consumer and show compliance from my end. This was highlighted recently with a perfume I’ve been working on for a while as this potential perfume contains Animalis, a compound created by Synarome and widely used within the perfume industry. I’d received the MSDS sheet [Ed.’s note: Material Safety Data Sheet, sometimes called SDS or Safety Assessment] from the supplier with the maximum usage levels for this product. 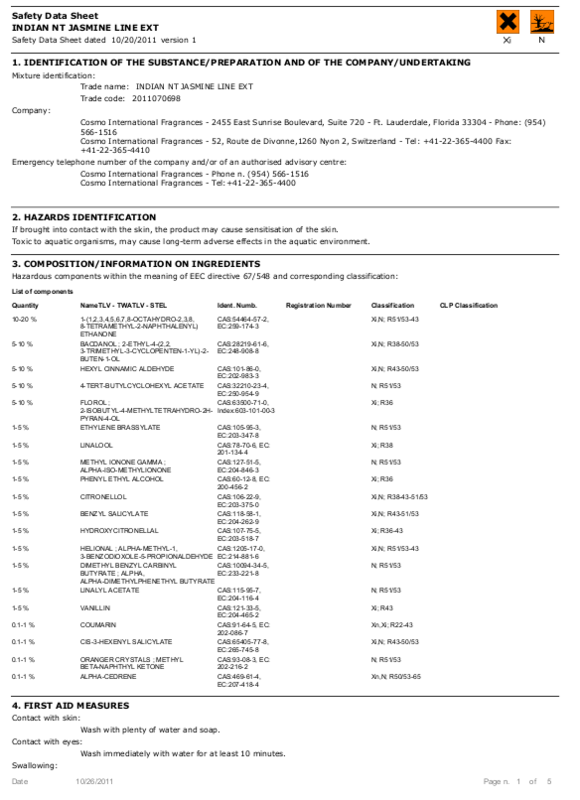 I decided to run this information by the lab that we use as there are a long list of allergens in Animalis. I had explained that I wouldn’t be using the material at the maximum usage levels, but explained there were some naturals in the formula that may overlap and double up the allergens therefore making it a non-compliant perfume. The lab was fantastic and ran through the MSDS sheets I’d provided, only to come back to me and say that they needed the musk ketone levels within Animalis before they could advise me further. This involved me having to speak to the supplier, the supplier speaking with Synarome who were loath to reveal any part of their formula and rightly so. I did eventually get the information for the musk ketone levels and ran this by the lab again. The wonderful and helpful lady who does our safety assessments said that Animalis couldn’t be used at the recommended levels due to these musk ketone levels, but helpfully gave me the percentage at which it can be safely used. 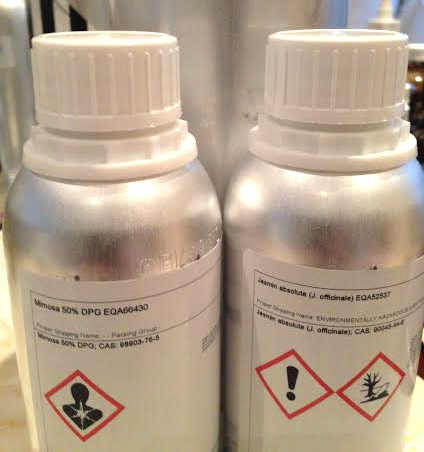 The maximum usage levels [of Animalis] from the supplier were correct but, when the material was broken down into the individual allergens, the musk ketone would exceed the allowed limits whereas the other components wouldn’t. Not so good for me, as I built a formula around Animalis using double the amount the lab said I could use but based on the information from the supplier and yet I was still way below the upper limit. By now, I was thoroughly confused by the entire situation but decided I would still go ahead and work this material into the formula and use other materials to bridge the gap left by the beautiful Animalis. I chatted with the lab about how musk ketone would appear on the ‘ingredients’ list; is it stated as ‘musk ketone’ or does it have another pseudonym that has to be used? The answer nearly floored me. Musk ketone doesn’t have to be listed on the list of ‘ingredients’ at all, you simply don’t have to declare its presence. The lab and I discussed how completely and utterly distorted the labelling system is. We mentioned how it was good old musk ketone that single-handedly virtually started the entire debate into allergens, how this material was found in our waterways, and even in mother’s breast milk due to its low bio-degradability and, yet, its presence in a perfume requires no declaration. This situation has left me even more confused about the whole IFRA/EU legislation. The lab thinks that musk ketone doesn’t have to be declared because the amounts that can be safely used (the amounts determined by IFRA and the EU) are now so low they appear as virtually trace levels. My argument would be that they are still there, in the same way that the levels of oakmoss have been reduced to almost trace levels in a finished perfume, and yet the presence of oakmoss still has to be declared. 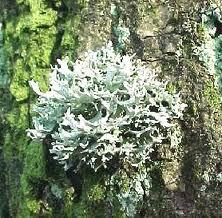 Oakmoss or tree moss, one of the EU’s targeted ingredients. When I create a perfume, I am subconsciously aware of the levels at which certain materials can be used, particularly the ones in IFRA’s line of fire such as jasmine and tolu. So when using these materials, I have an awareness that I can’t go completely crazy and start overdosing them. I don’t use software to keep me in line with compliance, I create a perfume in line with how I want it to smell at the end, using a pen and notebook. This method has caught me out a few times where I’ve had to re-work a formula to make it compliant, but there is a method to this madness of mine. I truly believe that real creativity comes from having no limits or boundaries within ones work, and I couldn’t think of anything worse than having my creative spirit harnessed by tapping a formula into a data base to check I’m complying at every step. I will never know what I can achieve if I don’t break the rules a bit and then study where I can then pull the formula together and make it compliant. Anubis bottles. Photo: Liz Moores. In many ways, the restrictions placed within the industry have made me broaden my knowledge with the materials I’m using and have forced me to learn more — but there is a limit to this when making perfume. If we keep losing materials, if the existing materials that are restricted now become restricted further, I’m not really sure what I would do. If I had to reduce the amounts of jasmine, clove, tolu and rose in Anubis it simply wouldn’t be Anubis anymore. Could I slice Anubis apart, or any of the other perfumes I’ve made and patch them together, pad them out with synthetics? The simple answer is ‘no’ and, at that stage, I would stop making perfume because I won’t change my formulas. The perfume I’m working on that contains Animalis almost takes me full circle with some of the issues I’ve had to deal with. 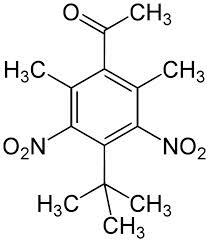 I did reduce the amount I had previously used in the formula and created an accord built on a heavy base of hyraceum. This was the perfume that, at the beginning of January, smelt a million miles away from how I wanted it to smell but in a few weeks had morphed into something really special. [See, Part I.] If I hadn’t had the issue with the levels of Animalis, there is every possibility that I would have decided the perfume was just about finished and left it where it was. Instead, I now have a potential perfume that is a million times better than the original. So, occasionally, something good can come out of a very frustrating situation. Let’s say you’ve gone through the process, finalized your “mods,” and are ready to launch a new perfume. What steps do you have to take now? I assume EU compliance certification would be a first step. What is entailed exactly? And what else do you have to do after that to get your fragrance ready for release? The Contents page for the 96-page Safety Assessment Report for Papillon. Source: Liz Moores. My photo of Section 4.3 of a Firmenich PDF file for Tiare Absolute supplied to me by Liz Moores. My photo of part of a Firmenich PDF file for Tiare Absolute supplied to me by Liz Moores. My photo of Section 4.7 of a Firmenich PDF file for Tiare Absolute supplied to me by Liz Moores. I run all of the stability tests for each of the perfumes which requires me subjecting the finished perfume to varying degrees of abuse over a 6 month period. Perfume bottles have been found in the freezer, in the garden in full sunlight, on top of hot radiators and in steamy bathrooms. Lids are left off and the perfumes go through as much abuse as I can throw at them. When Simon has calculated the percentage for each material and in what quantity they appear in the formula, he then sends all of this information to the lab. The lab then calculate each risk phase and the associated percentage for each material. They also calculate the percentage of allergens and give us our allergen declaration that has to appear on each of the perfume boxes; these have to be listed with the highest percentage of allergen first, reducing down to the smallest. As long as we have remained compliant with IFRA and EU regulations, we then receive the hefty documentation that allows us to sell to the general public. When the safety assessments are complete and we have the list of allergens, we can then get the graphic design for the boxes and vial cards completed. I will then make up the first batch of the new perfume; I never ever do this before I have had the documentation back from the lab. The bottle company then receive the designs for the screen print ,and they will make this up and start the first print run for the bottles. The box company will also start printing the boxes, vial cards and the box inserts will be made. When the perfume is ready, the bottle is then photographed for the website and the inner side of the vial cards, and my daughter, Jasmine, will help to write the literature for the perfume. 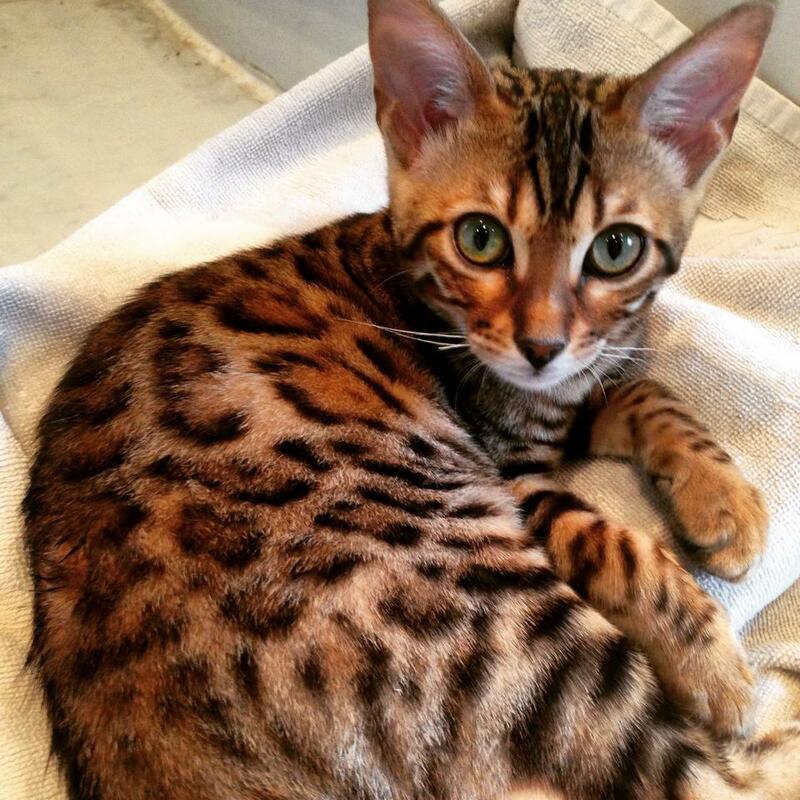 The newest addition to the Moores household, Mimi, a Bengal kitten. Source: Liz Moores. Throughout the process, I will often put up photos on the Papillon Facebook page or Twitter to keep people updated on everything that’s been happening in the studio and also to keep me motivated. Working alone on a perfume can feel quite isolating and, while I have a great support group in the way of my family and friends, I enjoy interacting and getting feedback from perfumer lovers and other friends in the perfume industry. Occasionally, this method of keeping everyone updated can go a little awry and I often get distracted by a small child or a pet, so they feature quite heavily in my updates too! I know you do everything by hand in your studio with help from your partner, Simon, and your family. This may sound silly, but I’m really curious as to the specific logistics of how the bottling process works. In other words, how “the sausage is made.” Did you have to buy some sort of expensive machine that cost a small fortune? Do you bottle in batches? How long does it take to do each batch? What sorts of machines do you use in general? Finally, how or where did you learn how to do the logistical stuff to begin with? 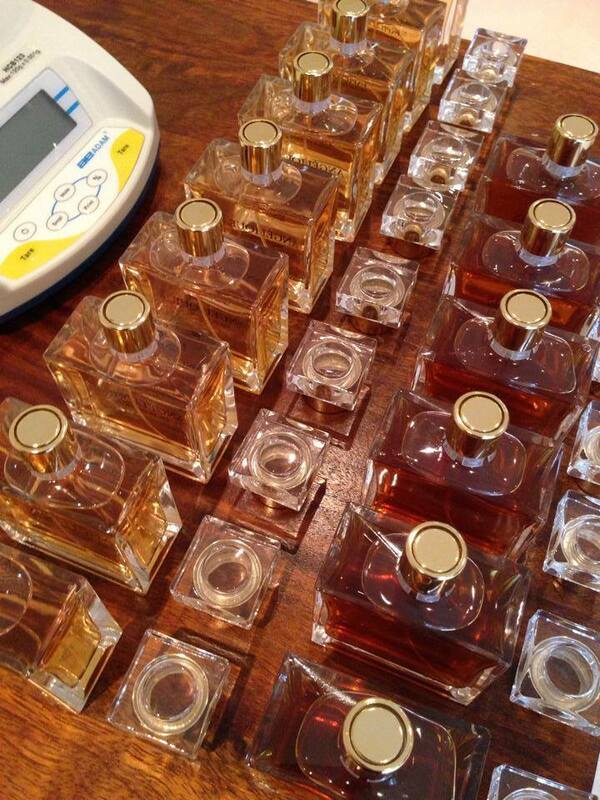 Fragrance bottles and a weighing scale on Liz Moores’ work table. Source: Papillon. It’s not a silly question at all! I have lots of people who are really curious about the behind-the-scenes side of Papillon. My studio where the entire operation is run from is attached to my house and I really do wish I could tell you that it’s a glamorous space but it’s far from it. I have my work space (a very large table!) where I blend all of the compound and create new perfumes; there are shelves of finished boxed perfume, vial cards, boxes and empty bottles awaiting filling. An entire corner of the studio has been taken over by packing materials, labels and various packing tape. Behind my work space are old bookcases that hold all of my materials, my scales, perfumers’ alcohol, compound that is macerating in brown glass bottles, completed perfume that is macerating, stirrers, filter papers, smelling strips and a myriad of other bits and pieces. Endless sample vials to fill! Photo: Liz Moores & Papillon. Rose Maroc Absolute being weighed for Tobacco Rose. One of the Anubis compounds. Filtering Ambergris for Tobacco Rose. Filtering Beeswax Absolute for White Moth. A trashcan filled with used filters. Filled bottles awaiting to be boxed one by one. Tobacco Rose in a row. I really do wish that I had fancy equipment, but I look at the cost to buy it and think that the money could be better invested elsewhere in the business. The most expensive piece of equipment in the studio are my scales, but these are very much a necessity to keep every batch completely consistent. Liz Moores (left) with her lovely daughter, Jasmine Moores (right). Photo: Liz Moores. Every single bottle is filled by hand; measured into glass beakers before I pour the finished juice into each bottle. I cut each atomizer tube by hand and press the atomizers on by hand using a very ingenious tool designed by Simon. This is basically a wooden board with a hole the same size as the atomizer top drilled into it! It requires a gentle degree of force but works very well indeed. Often, Simon and I will set up a little production line where I’m filling bottles and cutting the atomizer tubes to size and Simon seals them down. I’m a little bit protective over any juice filling that goes on and I’m the only person allowed to do this, although I did employ Jasmine to fill hundreds of sample vials last week. This is probably the most labour intensive job in the studio, and pressing the lids on can be quite tricky. I also have a very good friend who often pops over of an evening to help me with the sample vials or the making up of boxes in exchange for tea and cake. Papillon Perfume Compounds. Source: Liz Moores. The logistical side of things I taught myself with a lot of trial and error. I make up 5 litres of compound at a time and, after this has been macerated for 6 weeks, I then dilute half of this with alcohol and then the ‘complete’ juice is left to macerate for a further 6 weeks before bottling. I continually add new compound to the original compound (I call this the mother compound) to help accelerate the maceration process but also because I like the idea that every single bottle of perfume that leaves the studio has some of the original compound inside. Each new batch of compound takes me a day to weigh out and complete and it’s a job that requires complete silence in case I make a costly mistake, and yes, this has happened before. Bottling isn’t as time-consuming as it sounds, it’s a fairly simple process and I really enjoy doing this by hand. When we reach the stage of bottling it feels almost like a testament to the kind of business I wanted Papillon to be; one that is truly artisanal. These labour-intensive, and perhaps slightly old-fashioned (although I prefer ‘classic’) methods of completion are hugely satisfying to me. If you could go back in time and impart some tips, lessons, or words of wisdom about either perfume creation or the perfume business to a younger version of you as you were starting, what would you say? What do you wish the young Liz had known back then as she was starting out? I would advise her to approach every challenge head on, and not feel like it was the end of the world when something didn’t go to plan. I’d tell her not to cry so much when things don’t always work out the first time, and to know when to let go of a perfume, accept that it is finished and walk away. I’d tell her to get more sleep when she’s mulling over a tricky formula, and not stay up all night trying to fix it. The most important thing I’d tell my younger self would be that ultimate perfection doesn’t exist in anything as everything in life is so subjective. Artisanal niche perfumers obviously have a very different philosophy and aesthetic approach to perfume creation than the big niche houses, like Kilian, L’Artisan or Le Labo. How would you describe yours and the differences that you see? 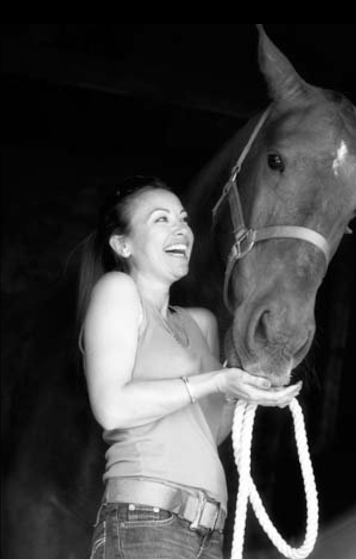 Liz Moores with her horse, Perry. Source: Papillon Perfumery. The most obvious difference to me is how the buck ultimately stops with me. I don’t have a large brand to hide behind, and sometimes this terrifies me. This would be the only negative aspect I see as I am completely free to create what I want and in my own time. There is no one fixing deadlines on my work and telling me how much the finished juice has to cost. I don’t employ focus groups and never would as I’m not very good at being told what to do as Simon would tell you. My aesthetic approach can be as wild as I choose or follow a more conventional route and the decisions I make for any new perfumes are always mine and are never influenced by anyone else. Before Papillon launched I had a few friends who really didn’t like Anubis at all; I think even Simon thought I’d lost the plot a little bit when I included it in the collection, but ultimately the final decision was mine. I would never launch a perfume that I didn’t love or wouldn’t wear myself, or how could I expect anyone else to love it? My philosophy for Papillon was to always to create a well-crafted and truly artisan product, perfumes that reflect honesty and integrity, and I’ll never let go of that ethos. If you’re interested, you can read my reviews for Anubis, Tobacco Rose, and Angelique. They cost $160, €120, or £94. In the U.K, you can buy directly from Liz Moores’ Papillon website, along with individual samples or a sample trio set. The fragrances are also sold at Les Senteurs. 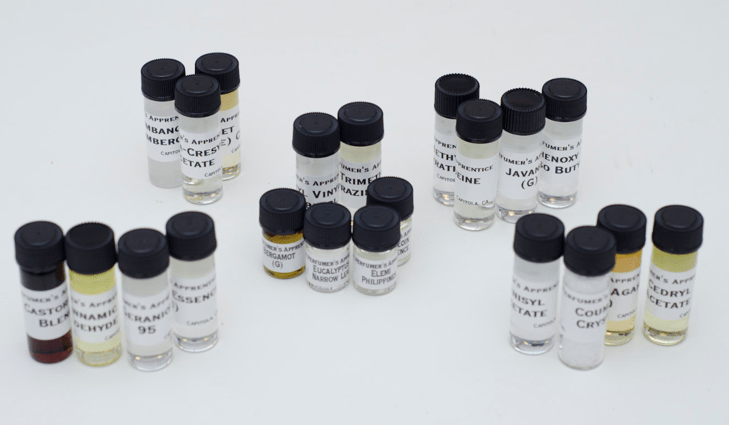 In the U.S., Indigo Perfumery and Luckyscent carry the line and sell samples. Indigo also has a general sample set option, while Luckyscent ships worldwide. In Canada, you can turn to The Perfume Shoppe. In Italy, you can find the fragrances at Profumeria Essence. In the Netherlands, Annindriya Lounge and ParfuMaria both carry the line. In Spain, La Basilica Galeria in Barcelona has Papillon, but they don’t seem to have an e-store for online purchase. There are no French, German, or other European stockists at the moment but, later on, you can check Papillon’s Stockist listing page. For now, if you want to try Papillon and are in Europe, ParfuMaria has a Sample Program and ships throughout Europe: any fragrance in a 2ml vial is €4 each, or you can get 5 samples for €15. This entry was posted in IFRA/EU Perfume Regulation, Papillon Perfumery, Perfume Profiles or Interviews and tagged Animalis, Anubis, EU Perfume Regulations, EU perfume restrictions, Fragrance Mods, Fragrance Safety Assessment data, Fragrance safety reports, How To Get Started in Perfumes, how to learn about fragrances, How to Make Fragrances, IFRA/EU compliance, IFRA/EU fragrance restrictions, Liz Moores, Liz Moores Papillon, MSDS, Musk Ketone, Papillon Perfumery, perfume Mods, Perfumer interviews, Robertet Safety Assessments, SDS, Synarome Animalis ingredients, The perfume creation process, The perfume process, Tobacco Rose, White Moth by Kafkaesque. Bookmark the permalink. This was an absolutely wonderful interview!! I was hanging on every word. I must thank Liz for her absolute generosity of spirit; it felt like she allowed us into her studio, her life, and her mind. What an intimate look at the work of an indie perfumer!!! Thank you again, Kafka. I can’t just leave this comment w/o saying that the IFRA rules are ridiculous. While it’s true that an artist can actually be forced into more creativity through what painters call a “limited palette,” in this case, it’s simply making the best out of a bad situation. How these law help any consumer is beyond me. The only entities that benefit from these regs are the big molecule companies. End of story. I love how Liz works with the regulations, though. She really does work like a truly excellent fine artist. Thank you again, Liz, for giving us an in-depth look into your process. And once again, I’m inspired!! “Generosity of spirit” sums it up perfectly, Jules, as does your point about “making the best out of a bad situation” with regard to the IFRA/EU rules. It’s really true, one can work with a really limited palette, but it doesn’t mean the final product will have the range of hues or the depth that would be otherwise possible, and process is an unnecessarily complicated struggle to merely manage as best possible. But all of it seems like an ordeal, including the deluge of paperwork and bureaucratic rigamaroles. I would pull out my hair. Thank you so much for this amazing interview. I feel for the first time in my life I entered into the world of niche perfume making with great intensity and integrity. Every utterance of Liz Moore was resonant with sincerity and artistic drive. How difficult this field is in the practical sense and how creatively rewarding it is in its artistry was made fabulously clear and poignant. Thank you Kafka, thank you Liz Moore and now to get my hands on a bottle of Tobacco Rose and luxuriate. 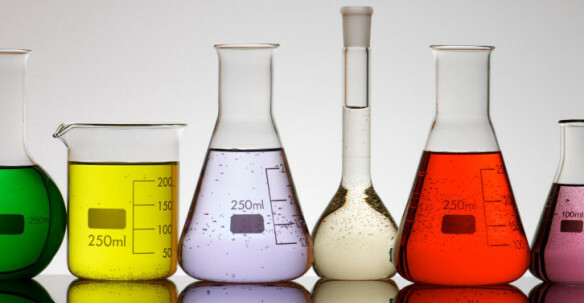 How interesting – to run a perfumery one must be artist, scientist, and businessperson. Which I think I understood in the back of my mind, but hadn’t given attention to. Thanks so much for a truly interesting series. You’re very welcome, Mals. The business side seems to involve so many things, things that I don’t think MOST of us realise or think about. So do the science and bureaucratic EU/IFRA parts. Exhausting. Thank you Kafka and Ms. Moores for an amazing interview and a peak into Papillon Perfumery’s world. 🙂 I was cursing IFRA and cannot print that! I love Liz’s menagerie of animals, especially Mimi and Perry. I loved the part about stability testing! 🙂 So entertaining. And it was fascinating to get an insight into how it all works – reminds me a lot of Andy Tauer’s tales of tribulation as an indie perfumer. But what a nice thought knowing that every bottle of perfume is touched by the perfumer herself. Makes it all the more special! I’m glad you enjoyed it, Tara. And I agree that it does make any Papillon bottle that one owns feel more special, especially after the travails involved in creating some of them. Thanks so much for conducting this interview and to Liz Moores for sharing her insight, passion and knowledge with all of us. What a fascinating read! Knowing how personally invested she is in the entire process certainly makes me even more interested in the fragrances, which all sound amazing. I just ordered samples of all three Papillon perfumes. I expect Tobacco Rose will be my favorite, but I’m open to being surprised. What a wonderful in-depth discussion! Thanks to both of you for sharing it with us. I have a passing familiarity with EU bureaucracy but to see the impact on a small business and on creativity is eye-opening. Liz’s persistence and vision is our good fortune. I have samples of the three currently available and really looking forward to Liz’s new perfume. I’ll look on them with new respect knowing that they were put together by hand almost at the kitchen table! I was very prepared to love Tobacco Rose and crumbled with disappointment when my skin just flashed through it to little effect. Angelique was the revelation for me, not notes I’m usually drawn to but I felt just wrapped in exquisiteness all day. 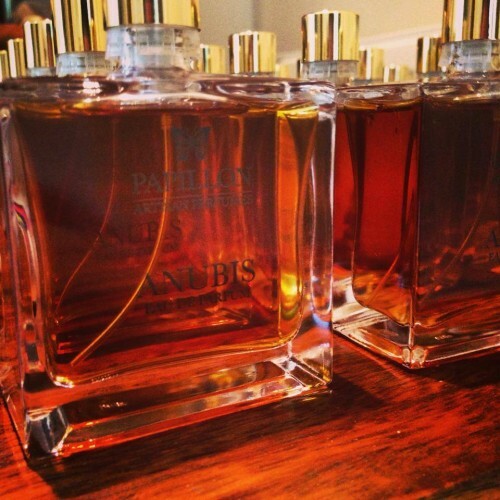 That said I have my eye on a full bottle of Anubis, although perhaps not until autumn.